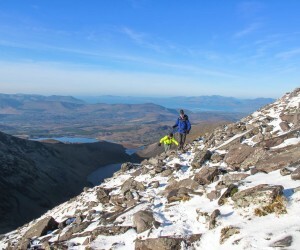 Mountains in Kerry and the Killarney area. 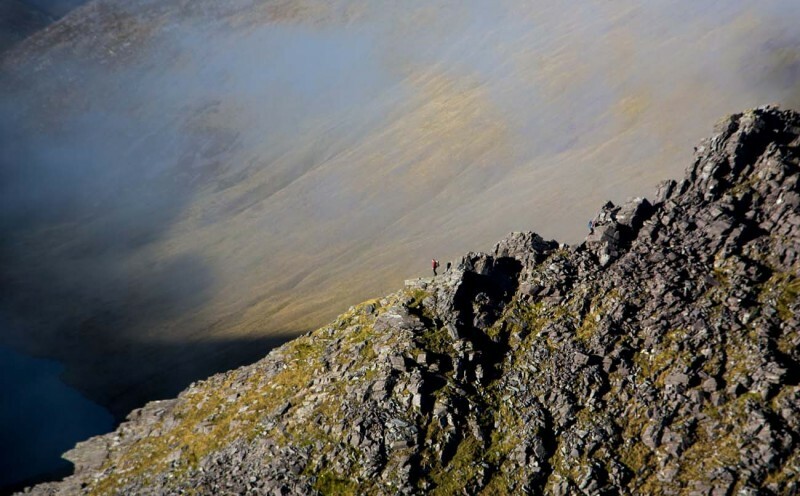 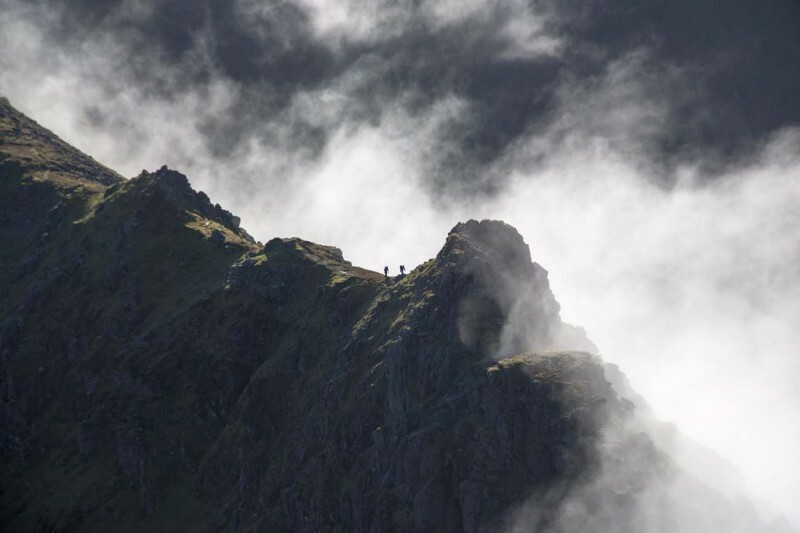 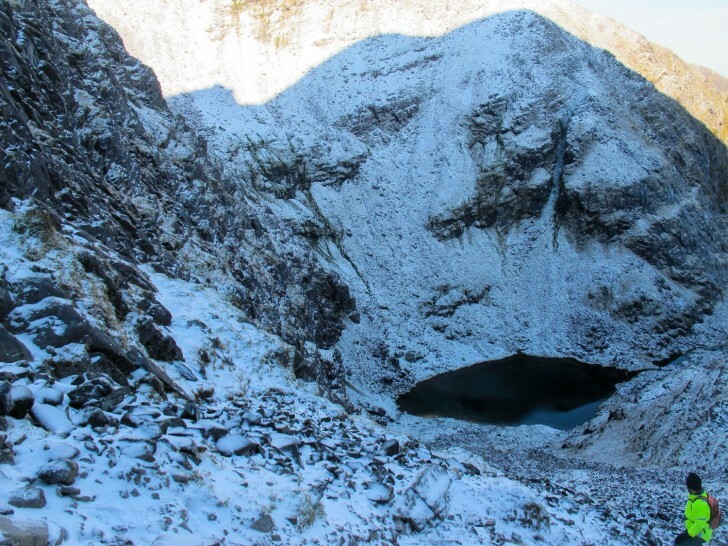 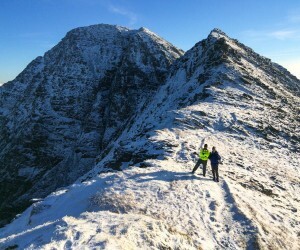 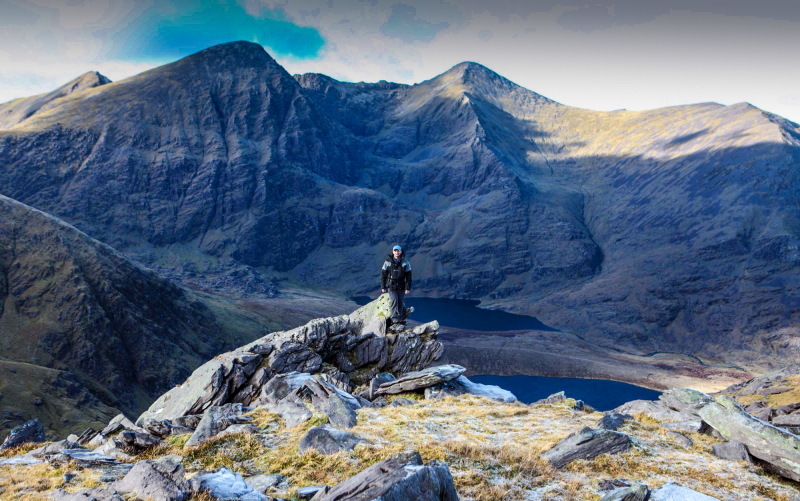 The Mountains in Kerry well what can we say they are just amazing, you have every type of challenge available from the handy climb to the top of Torc Mountain to the challenges of Carrauntoohil and the MacGillycuddy’s Reeks with its many knife edged Ridges. The Mountains in Kerry stretch over much of the entire County nearly all of the Dingle Peninsula rises from the Atlantic Ocean to great heights, Torc and Mangerton along with Purple are just a few of many near Killarney this side of the Gap of Dunloe. 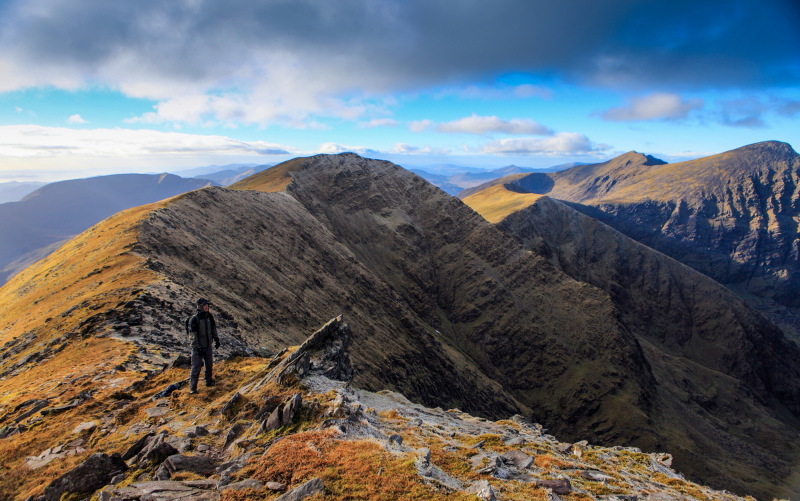 Beyond the Gap of Dunloe the MacGillycuddy’s Reeks with its many Mountain peaks right down to Knock Na Tober and the Mountains near Waterville and not forgetting the Beara Peninsula. 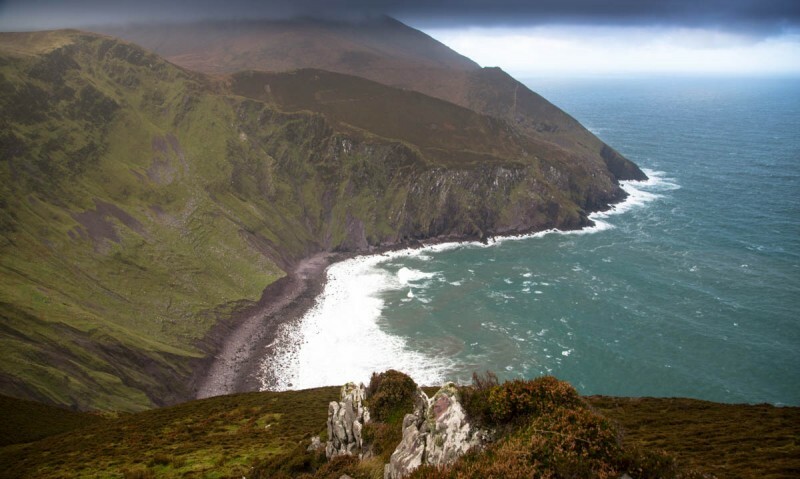 Overall the Mountains in Kerry have a huge selection and can suit all levels of Mountain climbing, one book we would recommend is “The Dingle, Iveragh & Beara Peninsulas” by Adrian Hendroff it has a fantastic choice of Mountains in Kerry to climb. 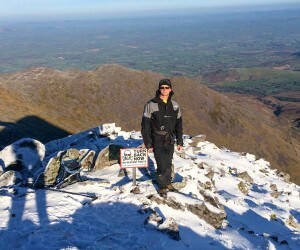 Another really good book for the Mountains in Kerry is “Carrauntoohil & MacGillycuddy’s Reeks: A Walking Guide to Ireland’s Highest Mountains by Jim Ryan. 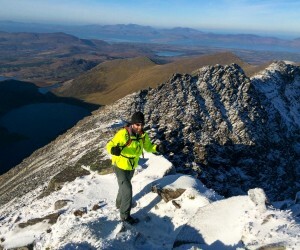 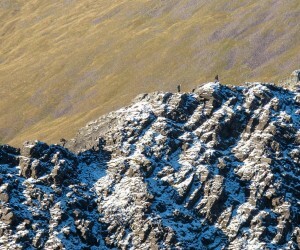 Crossing the notorious Beenkeragh Ridge after a great summit to Carrauntoohil now heading to Beenkeragh Mountain. 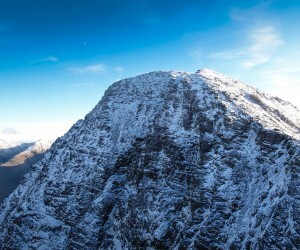 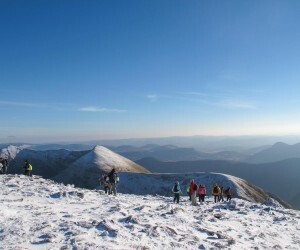 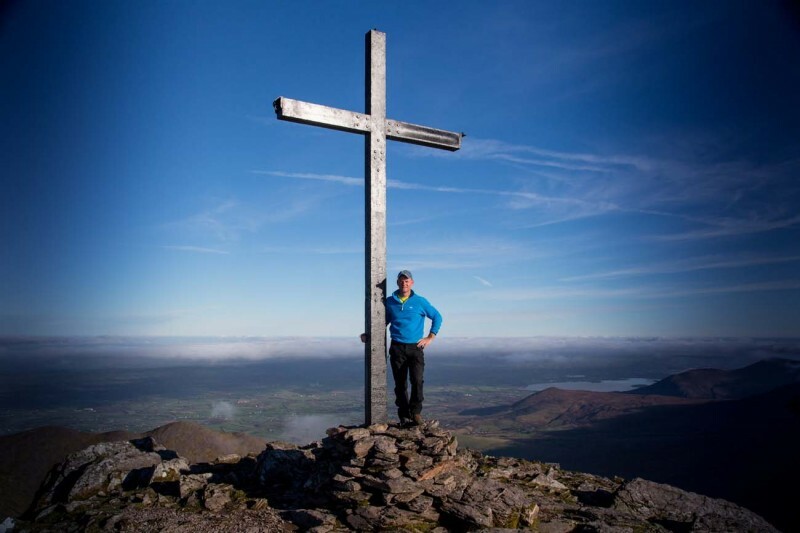 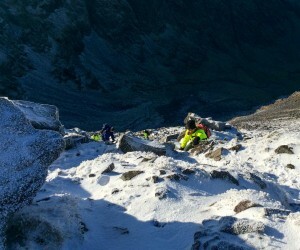 The day after the Cross was put back up on Carrauntoohil, fantastic weather a magical experience. 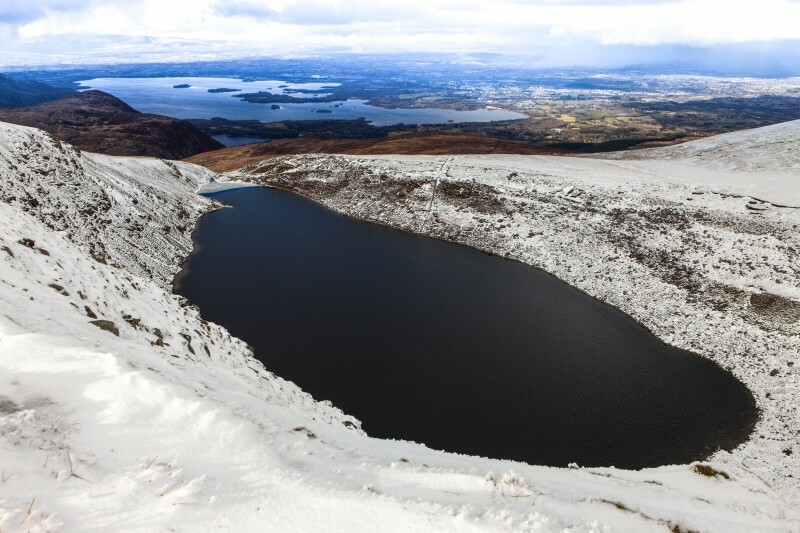 The Devil’s Punchbowl in Snow, Torc Mountain is to the left and Killarney in the distance. 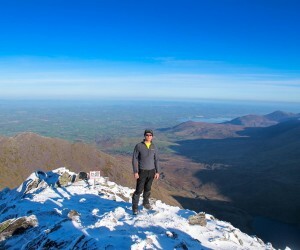 Great view of the most popular Kerry Mountains, Caher on the left Carrauntoohil and Beenkeragh and the Lakes below in the Hags Glen. 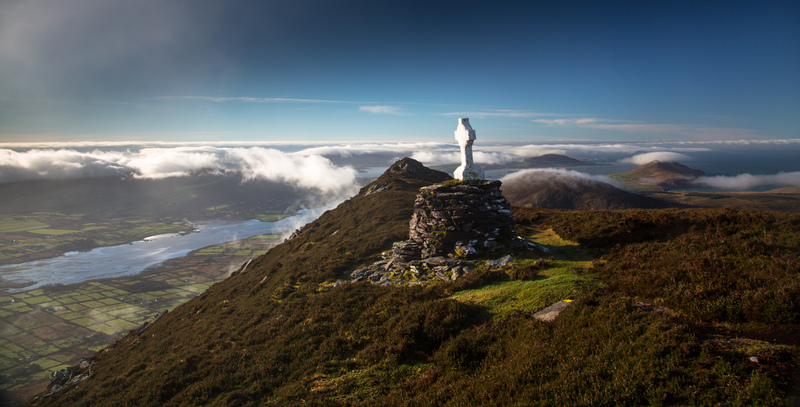 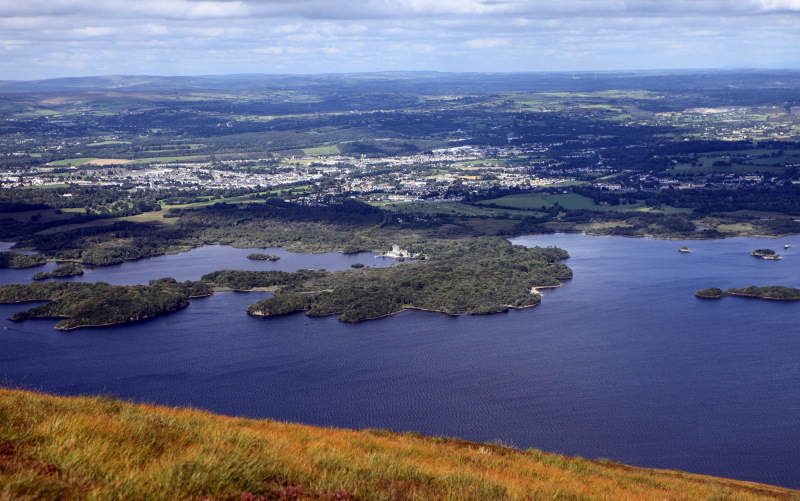 The View from Torc Mountain is amazing and it’s an easy enough climb and very enjoyable has a higher mountain experience at the top. 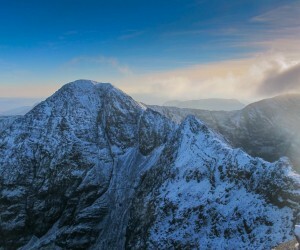 Sunrise over the Kerry Mountains, Strickeen, Cruach Mor and the Big Gun looking back along the Kerry Ridge. 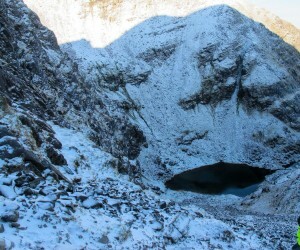 You can see the walls of the Devil’s Punchbowl on the top of Mangerton, the Devil’s Bit and the stream leaving the Punchbowl that becomes Torc Waterfall. 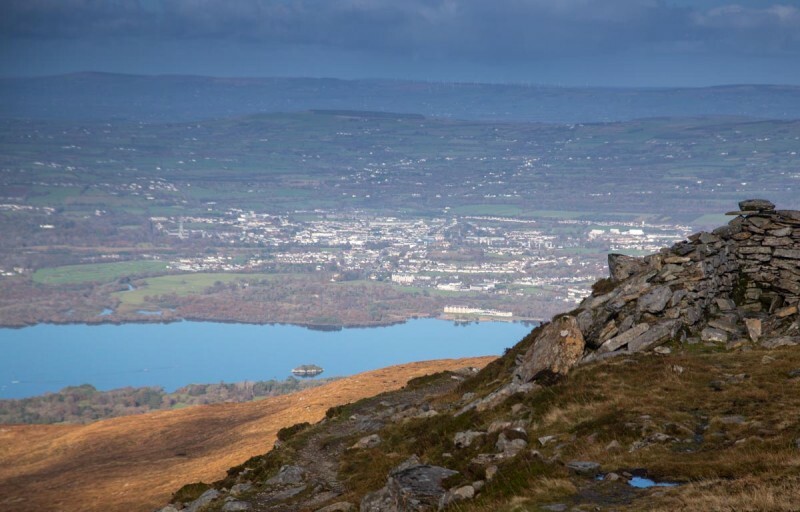 Another great view from one of Kerry’s least climbed Mountains with such great views, The Head of the Gap, Purple, Purple North East and Shehy Mountains and follow the high ground until you get a clear view of Dinis Cottage, Bricin Bridge, Innisfallen Island and the 3 lakes of Killarney. 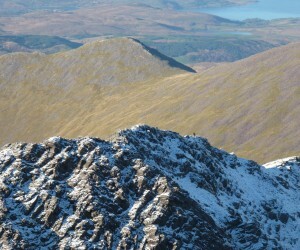 Avoid it in bad weather there are no tracks for much of it and it can be hard going and a long journey. 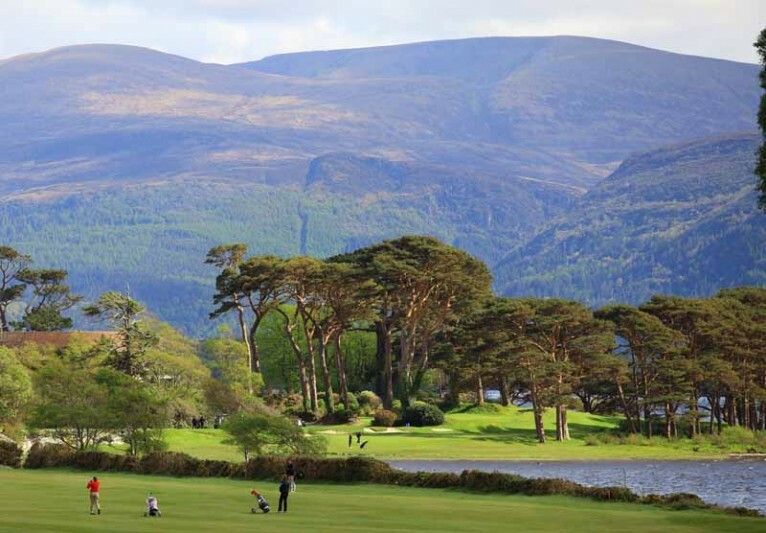 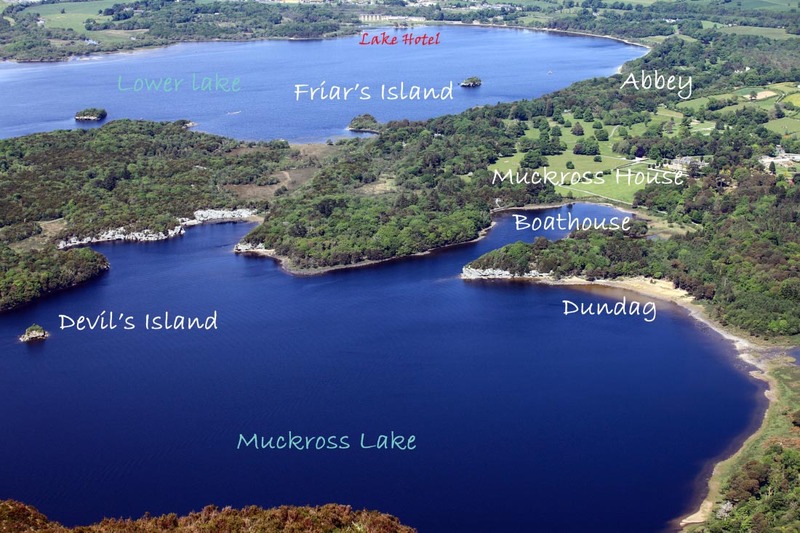 Wake up every day with a view of Mangerton & Torc Mountains they are climbable most of the year with amazing views, you can even walk from the Lake Hotel to climb these Mountains. 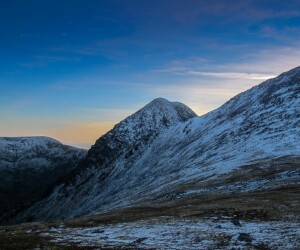 A beautiful sight in the Kerry Mountains, the Sun setting showing Carrauntoohil and Beenkeragh Mountain after a great day on the MacGillycuddy’s Reeks.